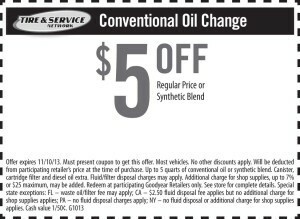 Get $5 off with this Conventional Oil Change Coupon for any regular price or synthetic blend coil change with the Tire & Service network. Must present coupon to get the offer otherwise it won’t matter. 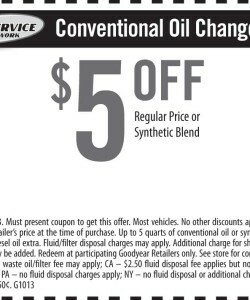 It works with most vehicles and no other discounts may be applied to your service. They use of up 5 quarts of conventional oil or synthetic blend. Getting your oil changed is annoying but a necessary shore to keep your vehicle running in good health. If you don’t take care of your car in general, the least you should do is change the oil regularly, because it seriously messes up the engine if you don’t. Have you ever seen those oil commercials with Mike Rowe about the ford engine that was full of oil that was never changed. Well, if not, imagine seeing the inside of an engine full of black tar that is so thick and greasy that your pistons won’t even move. Your engine overheats and is completely useless. Looks like you just killed your car simply by not changing the oil. 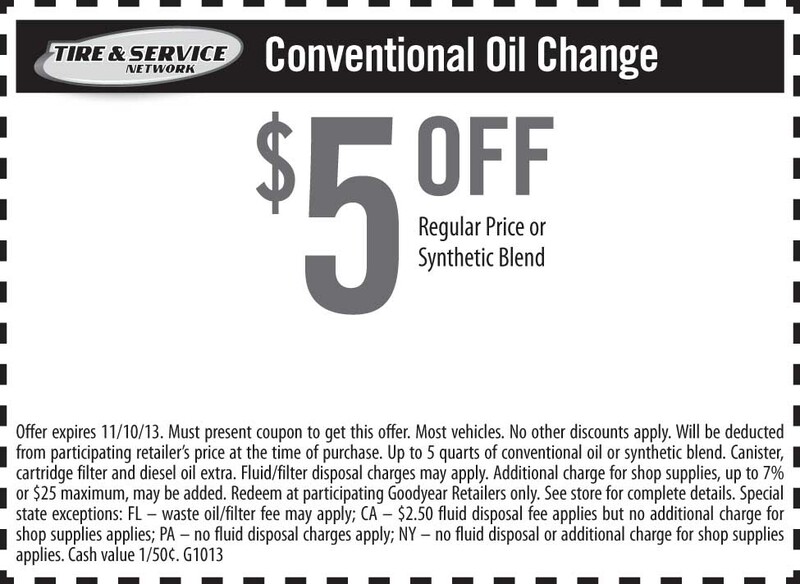 So make sure you get in this good habit and use these oil change coupons regularly to save on this maintenance service.